After the axle, maybe during - who knows. I have a spare set of window weatherstrips that I want to try and repair with new exterior rubber. I seem to remember a thread about buy 10 foot lenghts of the material. Ring a bell for any one? Where can Iet this stuff? The window sweep material can be purchased from Restoration Specialties of Windber PA. 814-467-9842 They have a downloadable catalog. It is part number YMR260X. It comes in 8ft lengths, but have them cut it into 3 lengths that you need to do your 2 doors and 1 quarter window section because the smaller lengths are cheaper to ship. The material is $30 a section. I buy this material from them at swap meets to save on tax and shipping. There are a number of posts on the replacement procedures on the v6z24 forum which also shows pictures. The material cuts easily with a dremel tool and cut off wheels, but makes a mess. Its a long slow task, but turns out really nice if you take your time and can save your door bottoms because the water will not be running inside your doors. I think it took me about 3-4 hours to do one side and that is all I have completed at this time, but need to do it a bunch more times this summer since I have 3 convertibles it needs done to. Sweep seals it is... I need them all the way around. e pontiac ones are different so we will have to see what we can do. I have a good one for the passenger side of a convertible. 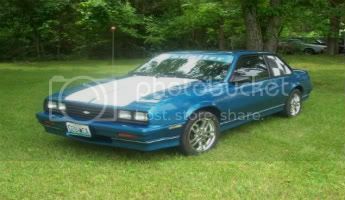 If you come across a good one for a coupe I will trade you. I was going to modify it for my car. I wish I would have heard about those moldings when I needed them a few years ago. 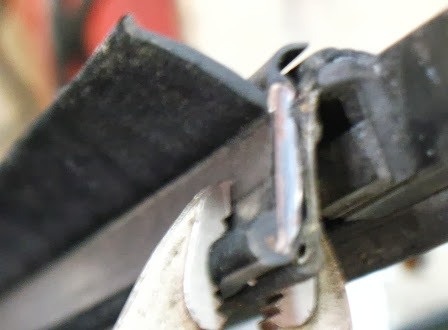 I used a well known shop here in Michigan and paid a small fortune to get those belt moldings replaced. I remember inquiring at so many places about getting them and being told by a bunch of ignorant people that they were not available! I was very happy to find the ones I needed, but now I could have saved a bundle! 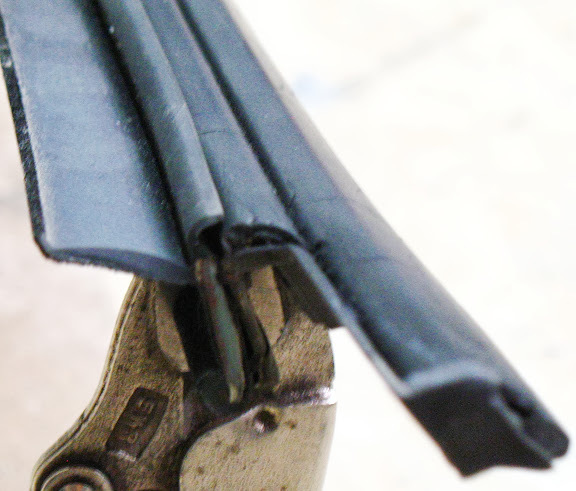 Here are some picts with the window sweep material I mentioned above clamped onto an 87 Sunbird coupe belt line molding. The coupe moldings are notched for the window frame, while the convertible moldings are not notched at the door latch end. As you noted Paul, the first gen sunbird moldings are different than the 2nd gens, which is why I took pictures of an actual Sunbird molding in case you decide to go this route. The guys I mentioned who sell it come to both Carlisle and Hershey swap meets. They often sell out of this material because it is so popular, so if you are going to be getting it from them at a swap meet, call them ahead of time to have them reserve the material for you and tell them you want an uncut 8 foot stick so you can cut it the length you want. I got 2 supposedly 4 foot sections at Hershey and it was 4" short on both pieces which meant I could not use the two short left over pieces to scab together and do one short rear belt line molding. I know with careful measuring and cutting, I can get the 2 front and one rear molding done from 1 8foot section on my 2nd z24, but did not measure to see if that was the same on the Sunbird. 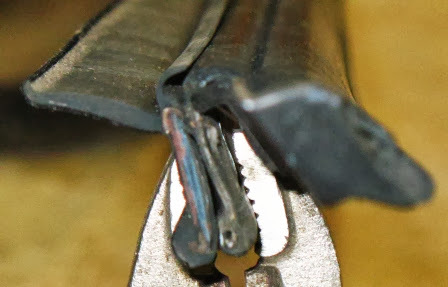 The curved hook part of the window sweep material in the upper right hand corner is a flexible rubber seal of sorts that is designed to cover the top corner of the 2nd gen belt line moldings. I suppose it could be cut off to better replicate the first gen OEM look, but I plan on gluing it down on the top of my Sunbird moldings. 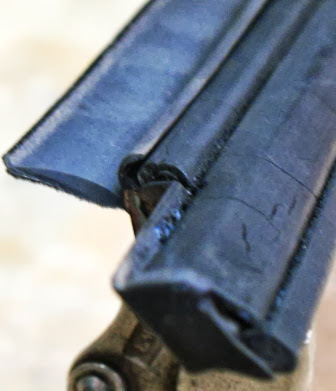 The bottom bead of the belt line molding will need to be cut away to allow the new window sweep material to lay flat on the belt line molding. I used a dremel tool with cut off wheels to cut this bead away, when I did my 2nd gen drivers side molding replacement. 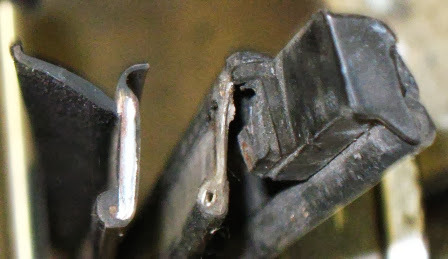 This picture shows how the top curved seal on the right might not lay tight overtop of the Sunbird 1st gen molding. This could be trimmed off the window sweep material for a closer OEM replication, but I plan on gluing the seal down tight to the molding. I can live with this retro fit alteration due to the cheaper material alternative. These shots illustrate the aesthetics of the new window sweep material from the outside. Oh.....This material has a flexible steel inner core that allows an 8 foot section to bent in half, with a huge curve in the bent end so it can be put in a vehicle for transportation home and carrying around at a swap meet. Got this stuff several years ago off J C Whitney. Basically the same as the inner wipe but I used it on the outside. Has the Chrome trim so it does show that over the black shoulder on the outside. Like you I had to use a Dremel and make a nasty smelly dirty mess cleaning off the old material off the original wipe , and used steel rivets to mount this back on. Results have been good and it is still doing the job to this day! I would be fine with the overlap, but my platic area under there is separating as well. I have some good news. My passenger side one is almost perfect and it is off of a coupe. I will trade you for that convertible one. This post is still helping me today. The material is still available. If you order it, I recommend ordering more than you expect to use since it cost so much to ship (and for margin of error). I have now repaired a front drivers window (somewhat poorly albeit my first attempt) and a back passenger window (amazingly well, although it's easier to pull the back trim off). Thank you for this guide. Staves off rust a little longer. Ok this I know. I had a 85 fiero gt with factory sun roof. If you use silicone gel,spray on all the rubber it will help it stay flexible l used it on the seal for the sun roof stopped it from leaking seal was drying out. I used spray and a towel kept spraying and wiping tel if started to get soft also the towel looked black.hope this helps. I am using a product called syl-glide to try and bring mine back to life.